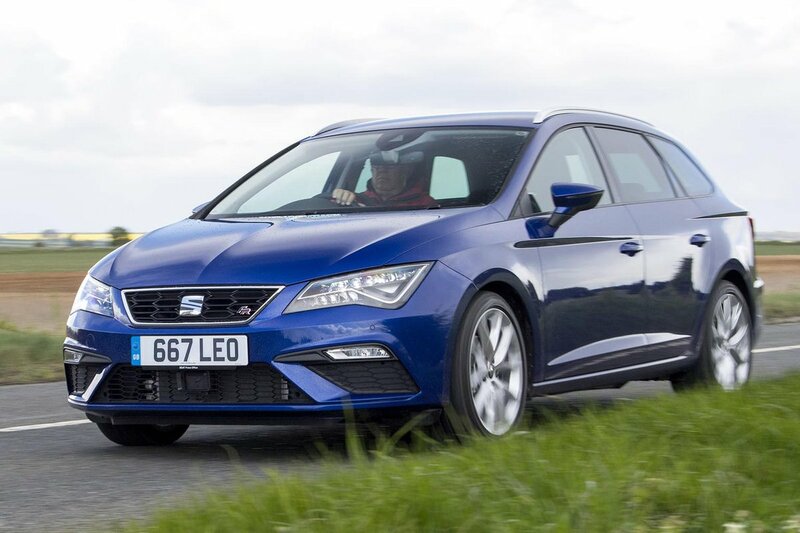 Seat Leon ST Interior, Sat Nav, Dashboard | What Car? You shouldn’t have any problems getting comfortable in a Leon. The steering wheel moves in and out, as well as up and down, while the driver’s seat has a good range of movement forwards and backwards and height adjustment is standard on all editions. The FR Technology, Xcellence and Cupra models get a sportier seat with extra side support, which makes longer journeys more comfortable. It’s frustrating, though, that lumbar adjustment doesn’t come as standard on the entry-level S trim; you need to step up to the SE edition for that, which is equipped with a supportive height-adjustable armrest, too. 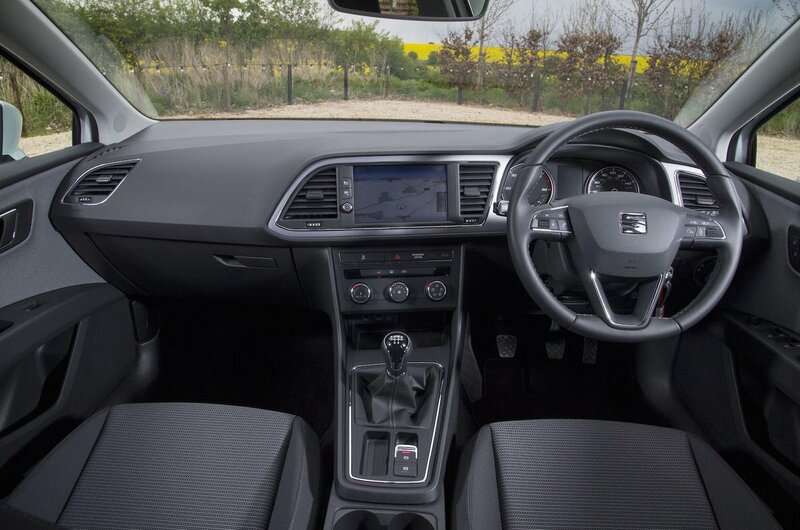 All of the controls that you’ll need to use regularly –those of the heating, ventilation and infotainment, for example – are positioned within easy reach. The instrument console also contains a small digital display between the rev counter and speedometer that, on higher-spec models, offers a range of useful information such as fuel range and average consumption. The high-up infotainment screen means you don’t have to divert your gaze too far from the road when adjusting your music or the sat-nav. The view ahead from the Leon ST is hard to fault; it’s easy to place the front corners of the car. Over-the-shoulder vision is also pretty good, although the compared to some other estates, the angled rear pillars do hinder things a little. Rear parking sensors are standard only on SE Dynamic Technology and pricier FR Technology, but you can add them for a reasonable cost to entry-level S and SE Technology trims. Xcellence and Cupra editions come with front and rear parking sensors. A reversing camera is also on the options list. Entry-level S Leon STs get a 5.0in colour touchscreen mounted high in the centre of the dashboard, which includes Bluetooth. It’s a pity you can’t add a DAB radio or multifunction steering wheel to the entry-level model, though, even as cost options. These comes from SE Technology trim upward, which also upgrades the screen size to 8.0ins and adds sat-nav plus two USB sockets. Seat's 8.0in touchscreen system tries to be clever by hiding its buttons to free up real estate on the display – then, when it detects that your finger is moving towards the screen, it brings up the relevant buttons again. It’s not quite as slick as it sounds – you’ll occasionally find yourself waiting for the hidden buttons to reappear while the system spots your finger and plays catch-up – and some of the icons are quite small and situated inconveniently close to the edge of the screen. The pinch function for the map isn’t very responsive, either, yet the rest of the menus are, and the graphics look sharp. It’s particularly frustrating when you’re on the move, and we vastly prefer the rotary dial controllers you’ll find in some rivals, or even the rotary knob from the older Leon ST.
Full Link (for operating your smartphone’s apps from the touchscreen), is either an inexpensive option or standard on the upper-level trims, while the Xcellence trim includes a wireless phone charger – be warned, though, that the system only natively works with Android-based phones. The Leon ST’s dashboard is smart rather than plush. 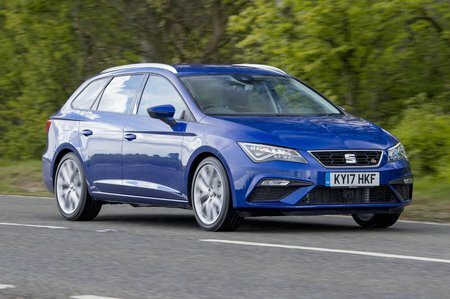 The major touch points feel fine – all models bar the standard S have a soft leather-covered steering wheel and gear knob - but there are signs of cost cutting. It’s not hard to spot harsher materials around the interior, there are a few sharp edges around the seat bases and some brittle-feeling plastics around the rear door handles. It all seems well put together, though, and the VW Group-sourced switches and buttons feel robust. Ultimately, it looks smarter than a Ford Focus or Vauxhall Astra but not quite up to VW Golf standards, but considering the price differential to the Golf, the Leon remains impressive.